Welcome to the School of Electronics, Electrical Engineering and Computer Science green impact blog page. It aims to offer tips and advice on how staff can contribute to reducing the School’s carbon impact. For further information on carbon management please visit the University’s environmental website at http://www.qub.ac.uk/carbon. Published by David Laverty, in Uncategorized. To protect our environment, AWARE and ECIT AWARE are committed to reduce our energy usage and welcome any ideas or suggestions for all members of the school and ECIT on energy saving. Please get in touch with any of the AWARE or ECIT AWARE team members! Turn off any lights when not required– the last to leave in shared office space should turn out the lights! Use the screens in meeting rooms- Do you really need to print that agenda? Ensure that energy-saving modes are enabled on your computers – so your screen switches to standby mode after 5 minutes of activity. Reminder: use the water boilers across EEECS and ECIT for tea/coffee and please remember that the use of personal appliances in your work areas is discouraged for health and safety reasons. Also, it is more efficient for us to share energy-efficient appliances such as water boilers and large printers. Reminder: we all play our part to help protect our environment, and this includes preserving our vital water resources. Across all sites in EEECS and ECIT we have free drinking water available for staff, students and our guests. We encourage everyone to think about minimising water wastage and reporting any dripping taps to ensure we only use what we need. Use the stairs, not the lift! The lift wasn’t originally intended to carry people, it was developed to carry heavy resources. It was the means by which to lug coal and lumber up and down hills. Using the stairs instead of the lift, if you can, will help reduce your own carbon footprint as well as providing some light exercise, which has health benefits. It also increases your step count for all FitBit users! So whether you do it for exercise, meditation or pride, take the stairs. Today marks the start of Fairtrade Fortnight and QUB, an accredited Fairtrade University, is running several of events on campus to celebrate. For more information on Fairtrade Fortnight, see the Fairtrade foundation website, and for further information on events at QUB, follow @greenatqueens on Twitter. In EEECS and at ECIT, we have coffee mornings scheduled across the sites. As part of Green Week, Martin Doherty, Waste Manager from Belfast City Council, will be giving a talk covering the areas of Reduce, Reuse and Recycle. Discussion will also take place regarding the areas of consumerism and circular economy. Please join us in the Seminar Room, ECIT on Tuesday 12 February at 10.30am. Everybody welcome! QUB Green Week is running from 11-15 February, with lots of activities across the University. For further information, please see the QUB schedule of events and follow @greenatqueens on Twitter. Everyone is welcome to call in for some tea/ coffee, treats, and even some gardening tips! The RSPB Big Garden Birdwatch takes place at the end of this month, on 26-28 January 2019. 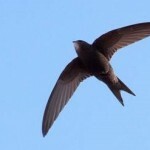 It has been running for 40 years, and allows us to see the trends in bird numbers. Anyone interested is welcome to get involved, helping to count what birds you see in your local park or garden. For further information or to get involved, please check out the RSPB website. As we approach the end of the semester, please support the University’s Big Christmas Switch Off Campaign by switching off all unnecessary equipment before you take off for the holidays! The winning School or Directorate will receive a £250 prize to host a staff event. Commuting from ECIT to CSB and back during the weekday? Or want to have a quick cycle during your lunch break? 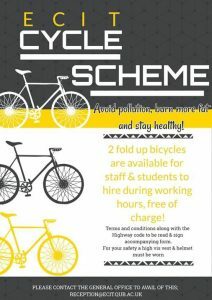 ECIT have fold up bicycles for use by staff and PhD students during working hours. See the poster below for more details. 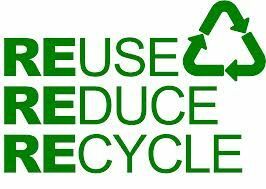 We are over halfway through recycling week, so please get involved and think about reducing, reusing and recycling the everyday items we use at work and at home. There is a charity clothes collection for the British Heart Foundation across the University during Recycling week, including collection points at ECIT, and the Ashby foyer. 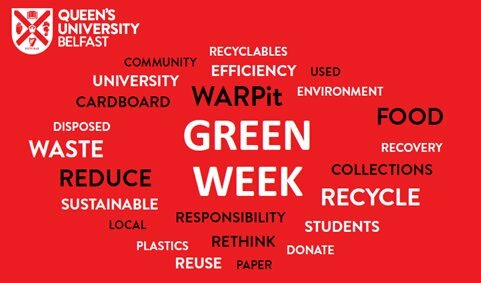 For more information on QUB recycling week check out further details here and follow @greenatqueens on Twitter.